Extract blog-zone.zip and upload the folder. Background of the site can be changed from this option. 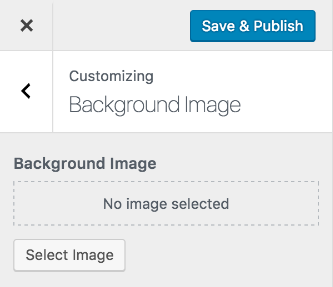 You can change the background image of the site through this option. Upload and assign image as per your need. 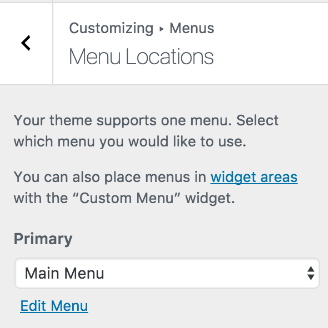 This theme comes with one menu location. Primary Menu location is for main menu of the site. There are 2 custom widget added by this theme. Each of theme are described below. This widget can be used to display information of author with name, image and description. First of all create new page with author name, add featured and description of author. Add the BZ: Author Profile widget on Sidebar widget area. Select recently created author page from dropdown and save. This widget is useful to add social links on the site. Please add social links at Appearance >> Theme Options >> Social Links as shown in image below. Add the BZ: Social Links widget on required widget area. Give title if required and save. Go to Appearance > Customize > Theme Options. Each option available here are described below. Show home icon in menu: Option to show or hide home icon of main nav. Show social icons in menu: Option to show or hide social links on main nav. Show search in menu: Option to show or hide search form of main nav. 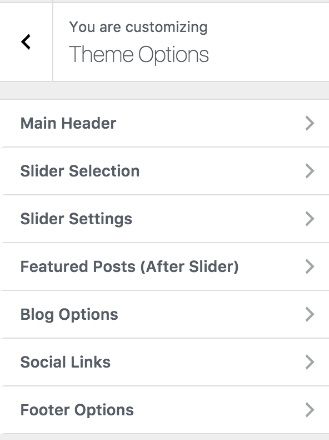 This section include options for slider to enable or disable and option to select slides pages or category. Enable Slider: Option to enable or disable slider. 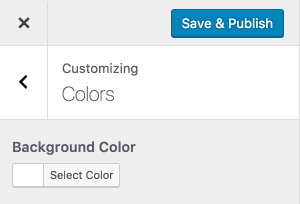 Slider Type: Option to select slides from either posts of specified category or assign pages for individual slide. Please check both slide options and use appropriate as per your requirement. Note: Post/page selected for slider need to have featured image to work properly. This section include settings of slider. It includes options to show or hide posted date and category on slide. Similarly slider transition effects, autoplay, arrows and overlay can be manges with available options. From this section you can manage 2 posts on the right of main slider. Either posts from specific category can be selected or pages can be assigned for each of them. Featured Post Type: Option to select category of pages for these listings. Hide posted date: Option to show or hide posted date above title. Hide post category: Option to show or hide category list above title. These options are used to mange blog list, post detail, search result and other archive pages. 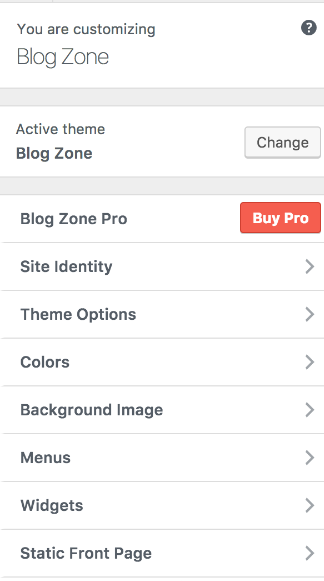 Blog Layout: Option to select left or right sidebar. Read More Text: Option to change text of read more button. Excerpt Length: Option to change length (number of words) on blog post listing. Hide posted date: Option to show or hide posted date above title of blog list. Hide post category: Option to show or hide category list above title of blog list. Hide read more button: Option to show or hide read more button below short description (excerpt) of blog list. This section is used to manage social link on the site. 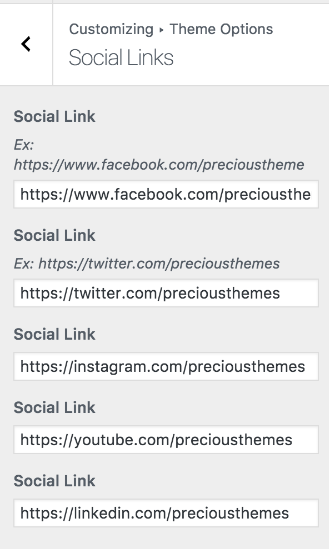 You can provide 5 different social links through this option. You need to provide complete url of social site to work properly. For Ex: https://facebook.com/pagename, https://twitter.com/username, etc. Icon will be assigned automatically on the basis of social links. Check the available options on this section. This section is used to copyright information of site. Change copyright text of Copyright Text as per your requirement. Please go to Appearance > Widgets for advertisement options available on the theme. This theme comes with two advertisement widget by default. However, you can use as many advertisement as you like on other sidebars too. This advertisement area allow you to insert ads on header section. You can use image widget and upload image for advertisement, use text widget for google adsense, video widget or other option to display your advertisement. This advertisement area allow you to insert ads on content area below main slider and above blog lists. 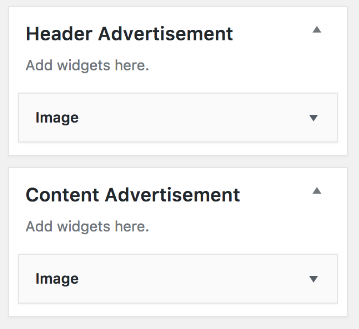 You can use image widget and upload image for advertisement, use text widget for google adsense, video widget or other option to display your advertisement. Hope, this will help you to setup your site as expected.